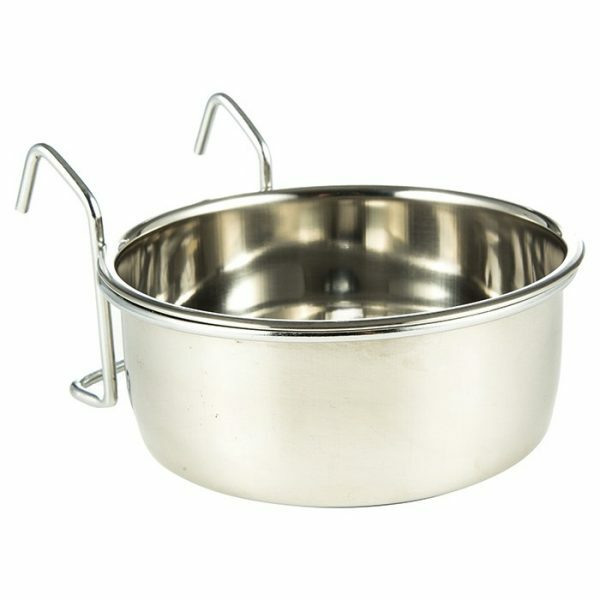 Stainless Steel bowls each with a metal ring that can be hung on crate to provide food or water for your dog. Great when travelling as bowl is fixed to side of crate and unlikely to spill. 15cm diameter (900ml) – $11.00If your dog can knock these bowls and holders down and spill their water, then you may prefer the Secura Pet brand. They can be snapped in and out of a screw on fitting. These ones are not kept in stock – allow 1 week for delivery. 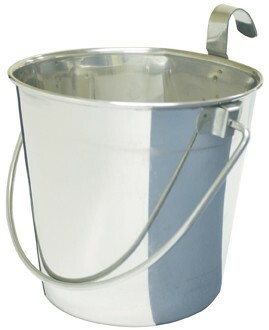 Stainless Steel buckets suitable for hooking to wire crates or mesh fences.